Wood began his military career as a civilian contract surgeon, later becoming a medical officer. He served as military governor of Cuba (1899–1902), introducing a host of educational, judicial, and health reforms, then, in 1910, became chief of staff of the army—a remarkable achievement for a medical officer. 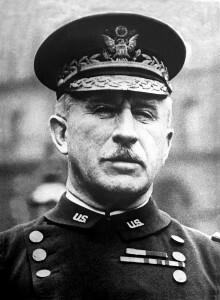 He bucked the prevailing American isolationism to advocate preparedness after the outbreak of World War I in Europe and set high standards for transforming civilians into soldiers and officers. In 1921, he was named governor general of the Philippine Islands, serving there until 1927.